“I like having a phrase lying around to get poems started. If you’re like us, you have poems everywhere—half-hidden in files and folders and titled things like “Renewal,” “Family,” or “Conflict.” They creep into margins, install themselves in the pages of your notebooks. And sometimes, you can watch them crystallize around a single photo, a single phrase, a single second. Our finalist judge, Shane McCrae thinks of these phrases as keys, unlocking the truth hiding in that moment. The poem that forms around those phrases makes that truth accessible in a way no other form can—it invites the reader to experience it for themselves. So return to that poem, the one that is only partly done but already rings true. Sit with it. Return to the phrase that created it and unlock that door. The 2017 Janet B. McCabe Poetry Prize closes May 15th, with a $1500 cash prize and publication in Ruminate awarded to the winning poet and $200 and publication in Ruminate awarded to the second-place poet. Please, accept our invitation to submit your poems. It’s time to share that truth. Ruminate MagazineP.S. Want to submit but don’t know where to start? Get our Poetry Prize Bundle! Our days are often busy and loud, yet we feel empty and asleep. Storytelling and art reminds us to slow down and live more fully awake with compassion, creativity, and curiosity. Subscribe and join our community—let’s stay awake together! 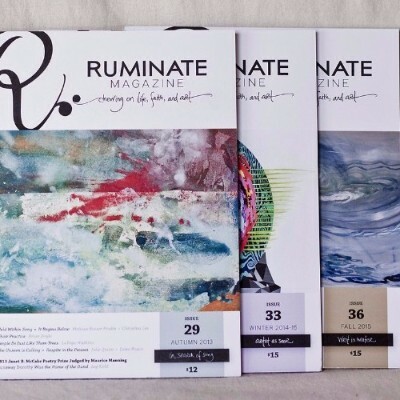 Copyright © 2017 Ruminate Magazine, All rights reserved. 1041 N Taft Hill Rd. 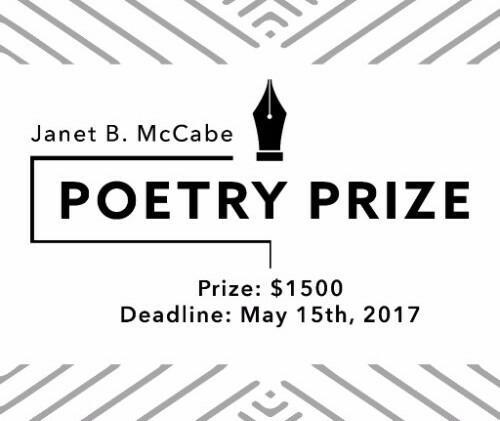 Friends, we’re now accepting entries for the 2017 Janet B. McCabe Poetry Prize! Every year the poetry prize lifts us up. Poets invite us to experience moments with them, calling us to be present and reflect on this beautiful, fragile, mysterious life. We join them, honored to take part in this witnessing. Share your poems with us this year! Two poems per entry, up to 40 lines each. $200 and publication in an upcoming issue awarded to the runner-up poet. The contest closes May 15th, 2017, so click here to mark the date on your calendars!